Today in Language Arts, Caleb learned more about poetry, specifically about using imagery in poetry. He took a stab at it and wrote his first Imagery Poem. 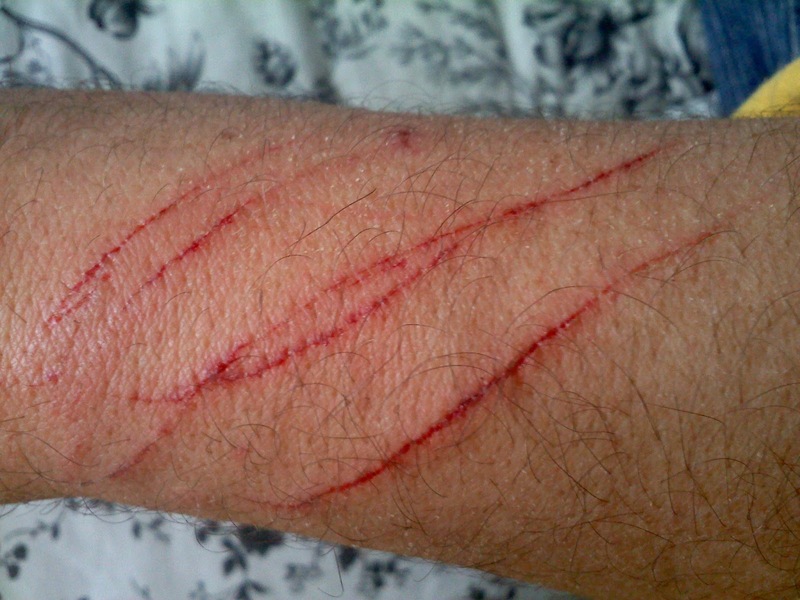 This is what happened when my husband had a sledding encounter with a thorn bush. I'm thinking Caleb's poem was right on, don't you? I still have scars from that. Physically and mentally.